Grand Cayman, August 19, 2013 – Over a two-day period, August 14 – 15, 25 meteorologists and disaster managers from across the region benefitted from training in the Caribbean Catastrophe Risk Insurance Facility’s (CCRIF’s) Real-Time Forecasting System (RTFS). The RTFS is an innovative forecasting tool which is designed to assist countries with pre-storm planning. Grand Cayman, Cayman Islands, August 19, 2013 – The sixteen member governments of the Caribbean Catastrophe Risk Insurance Facility (CCRIF) renewed their hurricane and earthquake insurance for the 2013/14 policy year that started June 1. Since CCRIF’s inception in 2007 – and despite increasing economic and financial pressures – member countries have recognised the value of including CCRIF’s parametric hurricane and earthquake coverage in their national disaster risk management strategies. Kingston, Jamaica, April 15, 2013 – On Friday April 12, 2013 the Government of Jamaica and the Caribbean Catastrophe Risk Insurance Facility (CCRIF) signed a Memorandum of Understanding (MoU), formalising a donation of US$100,000 made by CCRIF to the Government of Jamaica to support Jamaica’s post-disaster recovery and restoration initiatives following the effects of Hurricane Sandy in October 2012. The MoU signing and exchange took place at the Ministry of Finance and Planning in Kingston, Jamaica. 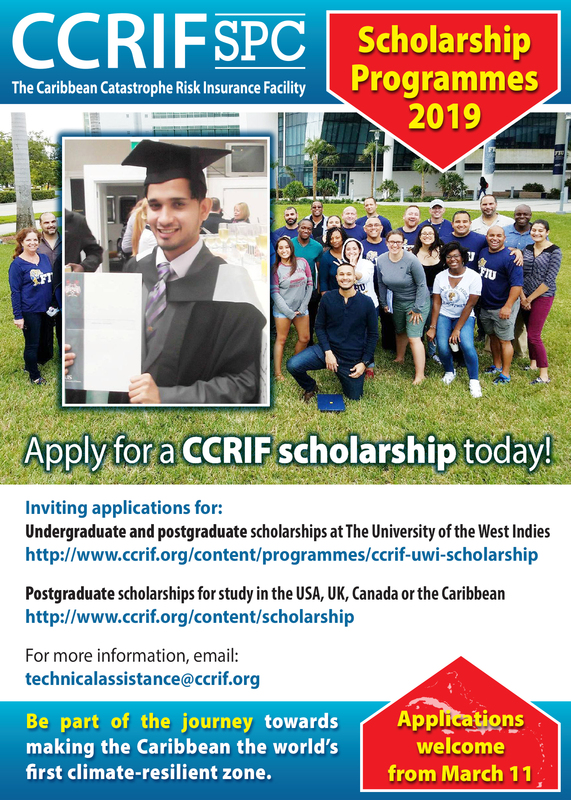 Grand Cayman, Cayman Islands, March 25, 2013 – On Monday 25th March 2013, the Caribbean Catastrophe Risk Insurance Facility (CCRIF) opened its 2013 Extra-Regional Scholarship application process. Bridgetown, Barbados, March 15, 2013 – The Caribbean Development Bank (CDB) and the Caribbean Catastrophe Risk Insurance Facility (CCRIF) hosted a strategic donor meeting at the offices of the CDB in Barbados on March 6, 2013 to discuss ways to support CCRIF’s new excess rainfall product and to coordinate with donors’ disaster risk management initiatives in the region. Grand Cayman, Cayman Islands, January 15, 2013 – The Caribbean Catastrophe Risk Insura nce Facility (CCRIF) is pleased to announce the appointment of Mr Isaac Anthony from Saint Lucia as the Facility’s first full-time Chief Executive Officer, effective from January 1, 2013. Prior to this appointment Mr. Anthony served as Permanent Secretary, Planning and National Development in the Government of Saint Lucia. He also has served his country in key positions such as Accountant General, Registrar of Insurance, Director of Finance and Permanent Secretary, Finance. He has served as a CCRIF board member appointed by CARICOM for the past 5 years. He brings many years’ experience as a senior finance and planning official with the Government of Saint Lucia coupled with service on the boards of key regional financial institutions such as the Caribbean Development Bank and the Eastern Caribbean Central Bank – all of which have provided a bedrock of expertise and experience to function effectively in the role of CCRIF’s CEO. Mr. Anthony is a product of the University of the West Indies, having graduated from that institution with a Bachelor of Science degree in Economics and Accounting (double major) and an MBA. CCRIF’s Executive Chairman, Mr Milo Pearson states, “Mr. Anthony brings invaluable experience and insight to this new position which, in part, has been created to address both decision-making and governance issues with a focus on high-quality internal controls to enhance efficiencies and to reduce our financial risk. This is a big part of our efforts to strengthen the sustainability of the Facility as we continue to evolve into a more mature Caribbean institution.” The recruitment process for a new CEO began early in 2012 with the post being advertised both regionally and internationally. One of the first responsibilities of Mr. Anthony as he assumes office will be to meet with government agencies, including ministries of finance, across the region towards strengthening their relationship with CCRIF and to continue discussions regarding the new excess rainfall product. The CEO also will further explore how the Facility can support capacity development in the region through its technical assistance programme. The CEO will provide strategic guidance to the members of the CCRIF team, which currently is composed of the following service providers: Caribbean Risk Managers Ltd – Facility Supervisor or CCRIF’s main operational and risk manager; Sagicor Insurance Managers Ltd – Insurance Manager; London & Capital Ltd and EFG Bank, Cayman Branch – Asset Managers; Guy Carpenter & Company, LLC – Reinsurance Broker, and Sustainability Managers – Corporate Communications Manager. The CCRIF Board and Team welcome Mr. Anthony and look forward to working with him to contribute to the sustainable development of the region. About CCRIF: CCRIF is a not-for-profit risk pooling facility, owned, operated and registered in the Caribbean for Caribbean governments. It is designed to limit the financial impact of catastrophic hurricanes and earthquakes to Caribbean governments by quickly providing short-term liquidity when a policy is triggered. It is the world’s first regional fund utilising parametric insurance, giving Caribbean governments the unique opportunity to purchase earthquake and hurricane catastrophe coverage with lowest-possible pricing. CCRIF represents a paradigm shift in the way governments treat risk, with Caribbean governments leading the way in pre-disaster planning. 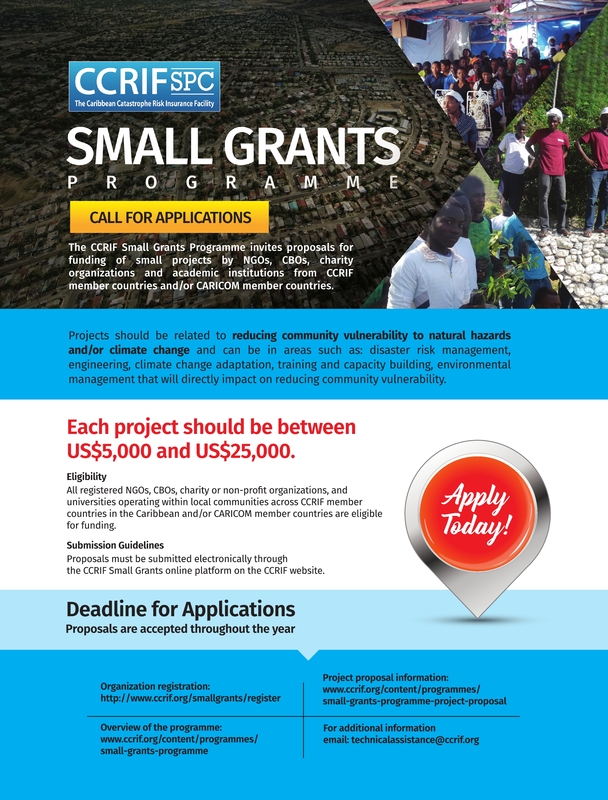 CCRIF was developed through funding from the Japanese Government, and was capitalised through contributions to a multi-donor Trust Fund by the Government of Canada, the European Union, the World Bank, the governments of the UK and France, the Caribbean Development Bank and the governments of Ireland and Bermuda, as well as through membership fees paid by participating governments. 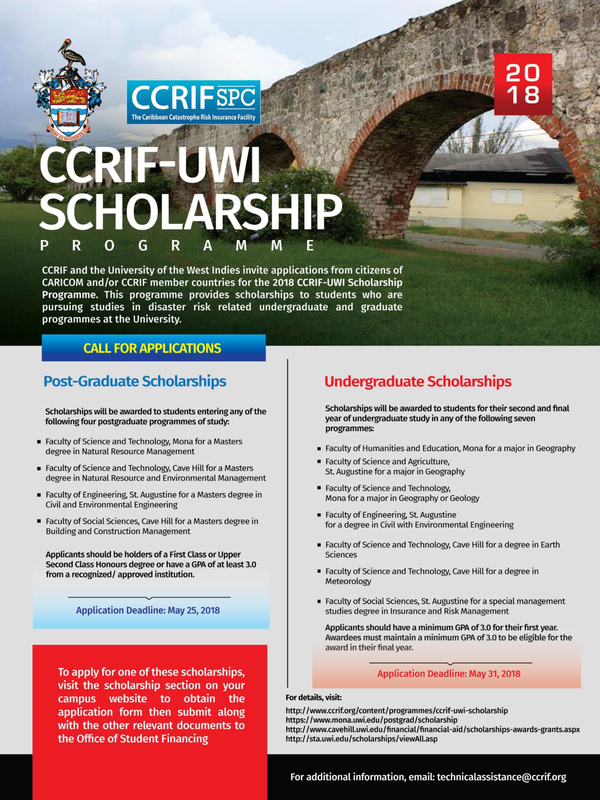 For more information, please send an email to pr@ccrif.org.